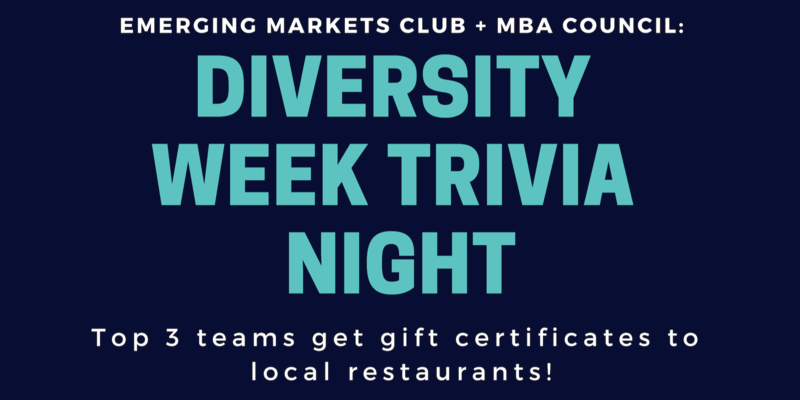 Join EMC for a trivia night during Diversity Week! There will be prizes for the top three teams, so we expect for you to bring your A game. Sign up soon to secure your spot. We will send around a sign up sheet to formalize teams this weekend. If you have a team in mind, make sure they all register. If you don't have a team, don't worry! You'll be able to put your name in any empty slot.